Android games are a great way to pass your time when you are sitting alone, getting bored and it’s an amazing option if you are a gaming freak. But sometimes it feels a little bit frustrating when the expensive in-app purchases and ads come in the way. In this type of situation Android games hacker app comes to rescue where you can bypass all the paid features and hack a particular game’s elements like coins, lives etc. Today we bring you the 10 best Android games hacker apps that can change the gaming experience for you. 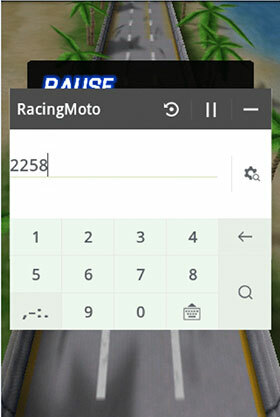 If you have heard about the cheat engine which was widely popular on the windows platform, this app is the replica of that tool for the Android devices. For those who are unfamiliar about the concept, Game hacker 3.1 can hack games for Android where it can alter the values of a particular aspect of a game. For example, you can modify the value of coins, gems, money etc. to make the gaming experience even more immersive. Another Android games hacker app we would like to introduce is Cheat droid. However, Cheat droid works only with rooted devices, so you are required to get root access first. Cheat droid has a ton of features like it can debug your self-created apps, find security vulnerabilities in your games, find which apps are using your information, it can recover your lost password in a game and a lot more. Here is a yet another Android games hacker app which also requires a rooted device. A lot of game hacker apps works specifically on offline apps. But Xmodgames can work on almost any app either online or offline. You can search and apply mods to several android games such as Clash Royale, subway surfers, clash of clans and a lot of other games as well. You just need to select a game and it will show you the patch needed to alter that game. 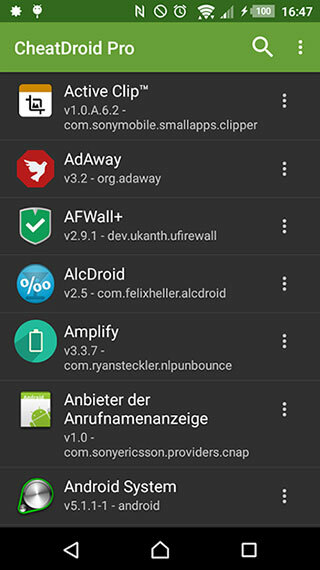 If your device is rooted, this app has to be installed in your Android phone. Lucky Patcher is not just an Android games hacker app, it does a lot more. It can remove the frustrating ads from a game, the super lengthy license verifications, and it can modify the memory of any app or game in just a few minutes. But here’s a trick, as the name suggests it’s a lucky Patcher, and you have to rely on your luck to make this app work for you. Usually, the app works efficiently without any issues, but it does show its unlucky traits time to time. Have you ever wondered how to use your android device on your computer? If yes! Then we have a great way for this. iSkysoft Toolbox – Android Screen Recorder is an amazing tool that you can install on your PC for free and it will give you a complete control of your Android device. It simply connects to the PC with a USB cable, and then it shows you a complete virtual screen of your device on the computer’s screen. 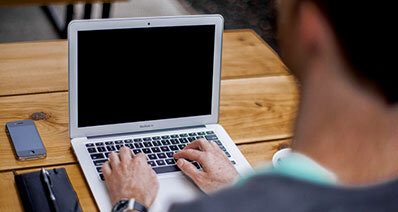 It’s completely trusted software which is 100% risk free from any unwanted malwares and viruses. One click Record: It has a unique one click record option which initiates the recording process instantly. Lag free: The software is blazing fast and super smooth to use. It’s very rare to encounter a single lagging or hanging issue while using the program. Infinite features: You can literally record anything from your Android device including third party apps like WhatsApp, Snapchat, or any game or app. Control your device: The software can be used to open your text messages, WhatsApp or any other third-party app and you can reply to a message directly from your computer instantly. Compatibility: Almost all the Android devices are perfectly supported via iSkysoft Toolbox – Android Screen Recorder. Next Android games hacker app in our list is the Freedom app. This app comes with an easy user interface and various hacking features. 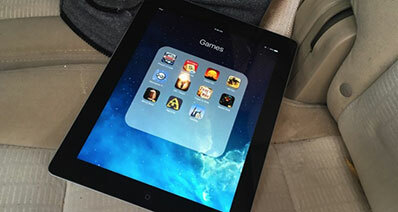 One feature that it specializes in is to hack the in-app purchases of any game. You can unlock all the premium features in a game like gold coins, green stacks, points, scores or anything. It is very exciting to hack a game’s resources like golds, coins, money etc. as earning them through the traditional way takes a lot of time and effort. And, who doesn’t like shortcuts? 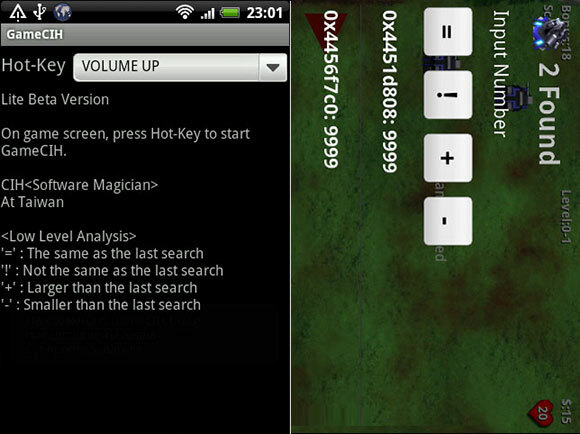 SB Game hacker is another Android games hacker app which can modify any component and value of a game. It can also remove annoying ads, bypass license verification and much more. Leo Playcard is one of the few Android games hacker apps that don’t require a rooted device to work. 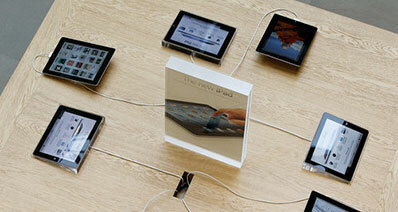 The app is composed of many advanced features which can let you play many paid apps for free. 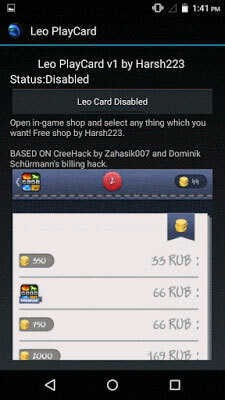 Just like Freedom and Lucky Patcher, Leo Playcard is another cheat app that can hack the in-app purchases, download infinite game coins, points etc. and it supports hundreds of android games and apps. This is one more Android games hacker app in the list and fortunately it doesn’t require a rooted device. 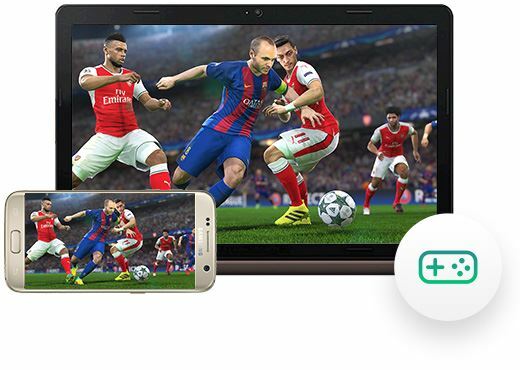 The app lets you enjoy various video games on your Android for free by bypassing all the root privileges. You can also remove the limitations in the game such as locked elements, limited lives and it can hack those expensive in-app purchases simply in just a few seconds. 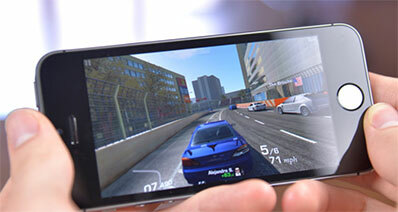 It is compatible with lots of new Android games and apps. Game killer is similar to the Game hacker 3.1 and does a lot of the things same. It is one of the best Android games hacker app that allow user to hack or modify coins, gems, lives and other elements in the game. 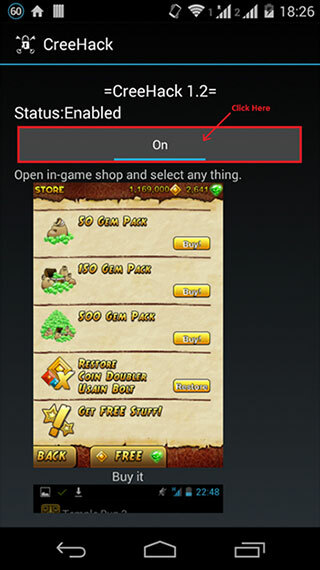 The app uses a special memory modifying technique that makes it compatible with a wide range of Android games and apps. 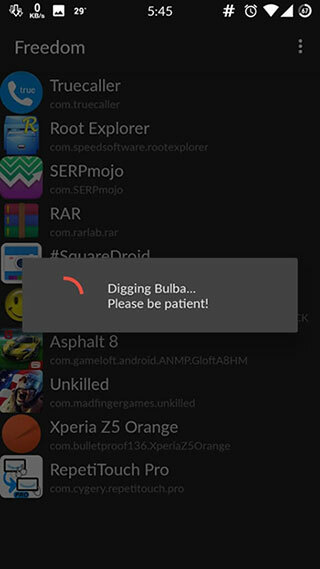 Game Killer needs a rooted device to work, so make sure to root your device first. Last but not the least! GameCIH is further Android games hacker app that has a lot of right things going in its way. 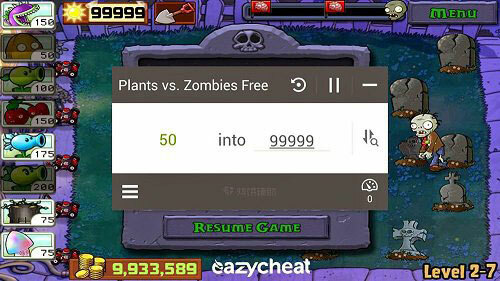 It’s a free cheat app that will let you change the components of the game and modify them completely. 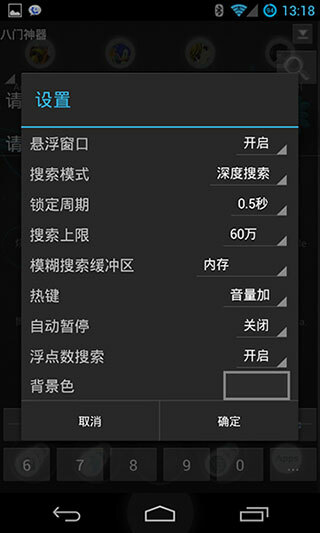 It has several features such as changing the in-game values, increase and decrease speed of the games, etc. GameCIH has non-invasive, very easy to use graphical user interface which makes it better than the other cheating apps.